The lovers of the game will be awarded during February. Warlords Awakening has great reasons to celebrate! 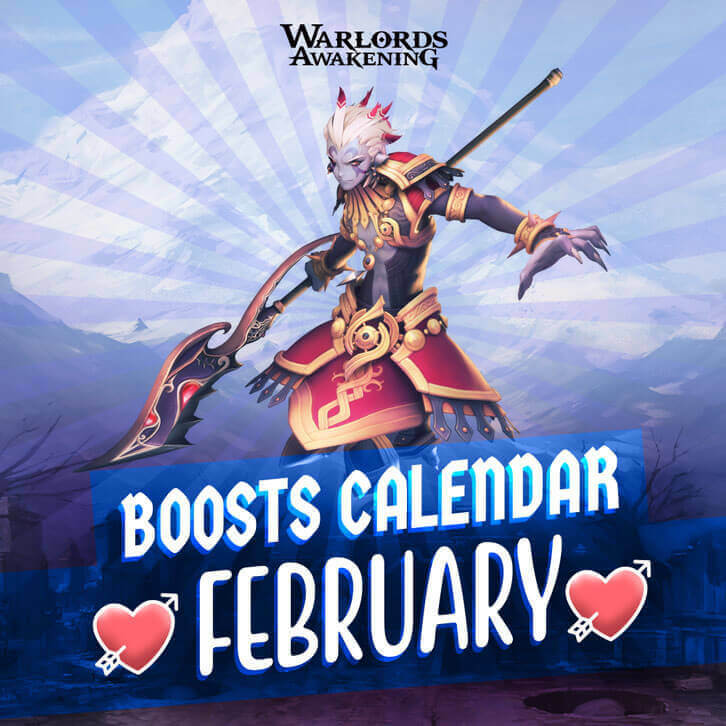 This month, it will celebrate its first Valentine’s Day with an exciting event that will begin on February 13th accompanied by many other surprises. The Valentine event will bring new items, great suits for players and renewed weapons suits. In addition, those who want to take their ruthless battles to another level, will find two totally new areas. Another surprise will be the inclusion of the new PK field, where adventurers can unlock new pets, new wings and costumes, and face the most difficult bosses. For those who reach level 10, the game will also reward them with new costumes, wings and more.